Our impressive 2013 Ford Focus Titanium Sedan with Navigation shown in Oxford White knows how to turn heads! 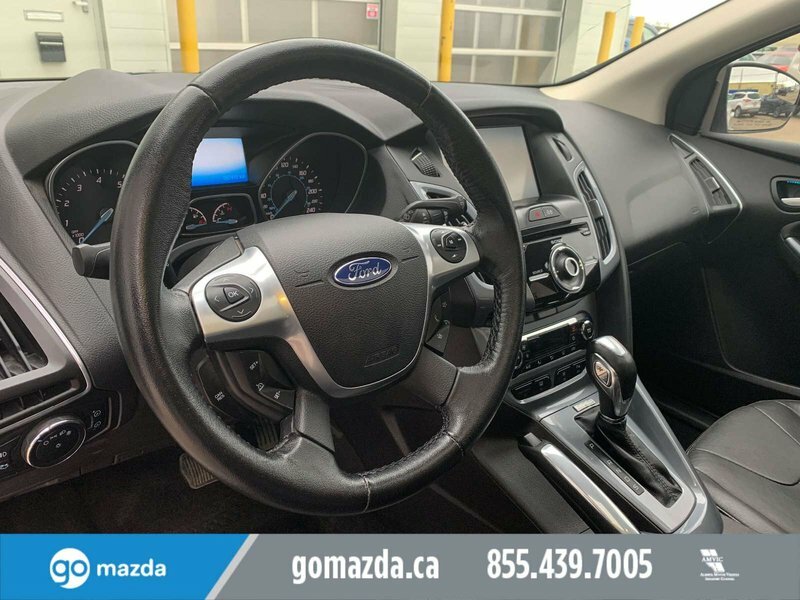 Powered by a 2.0 Litre 4 Cylinder that offers 160hp while connected to a smooth shifting 6 Speed Automatic transmission. 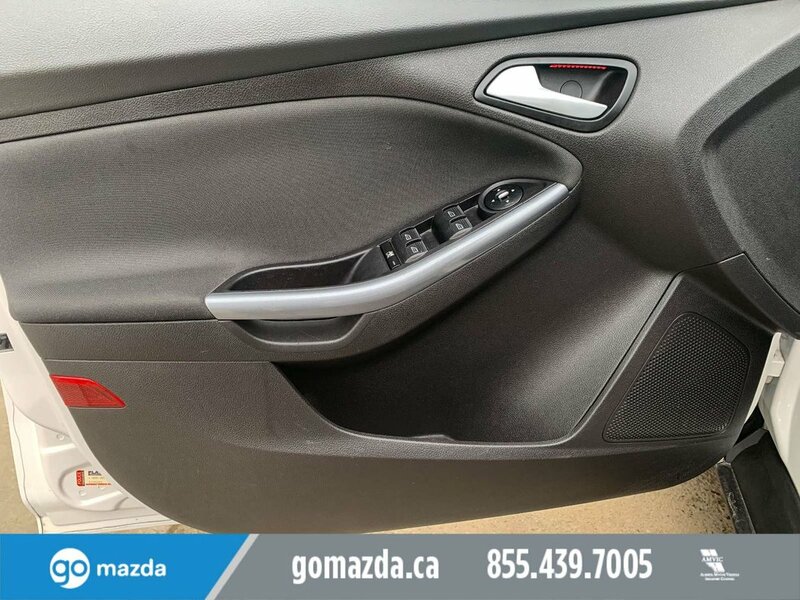 This Front Wheel Drive Sedan helps you achieve up to 7.58 L/100 km. 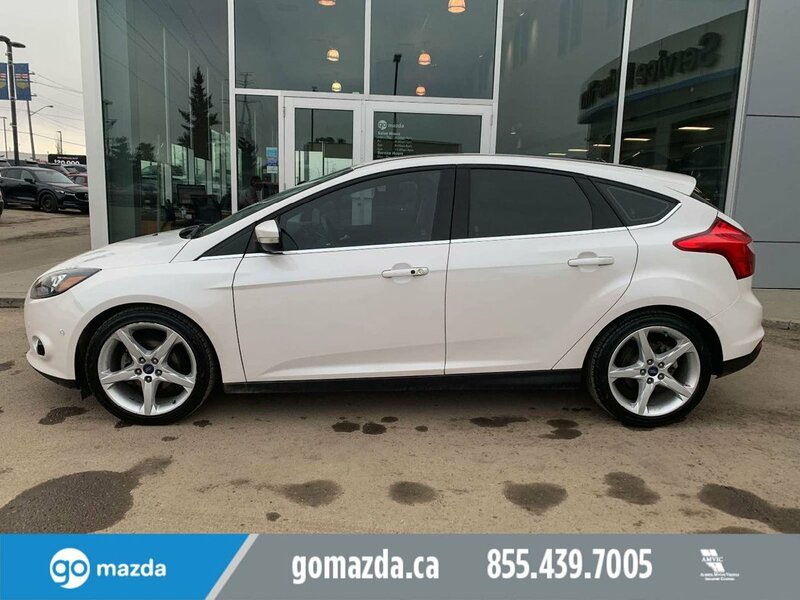 Along with great gas mileage, enjoy polished wheels and a rear spoiler that adds an aerodynamic style. The Titanium is the ultimate in technology. 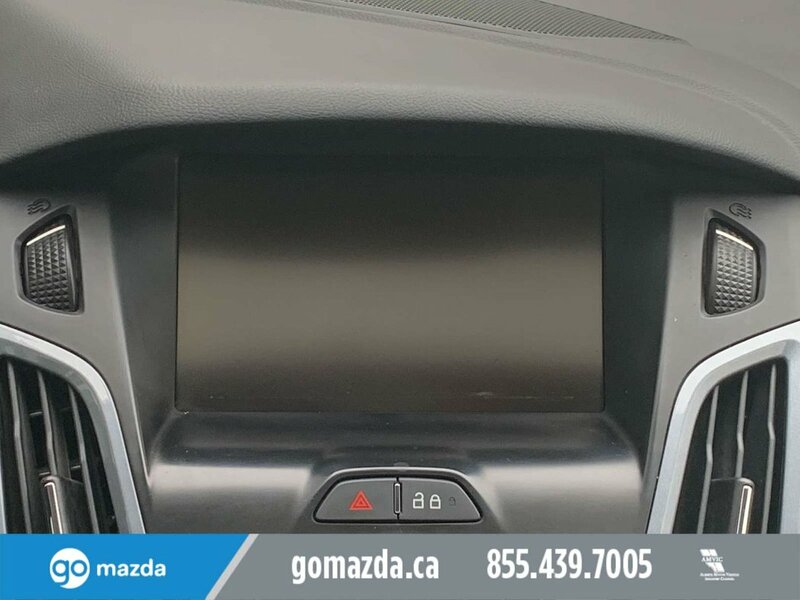 Voice-activated Sync with MyFord Touch allows you to control your phone, temperature and entertainment system by voice commands; it will even read your text messages out loud for you! 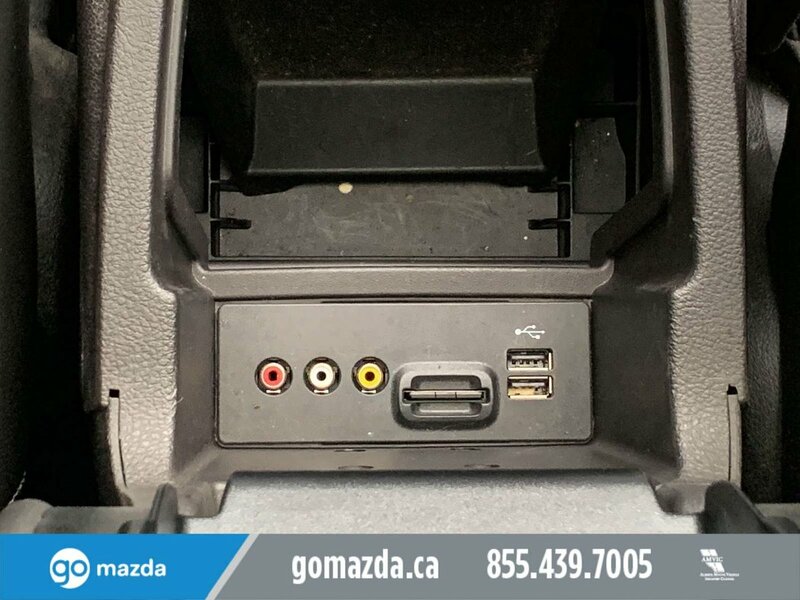 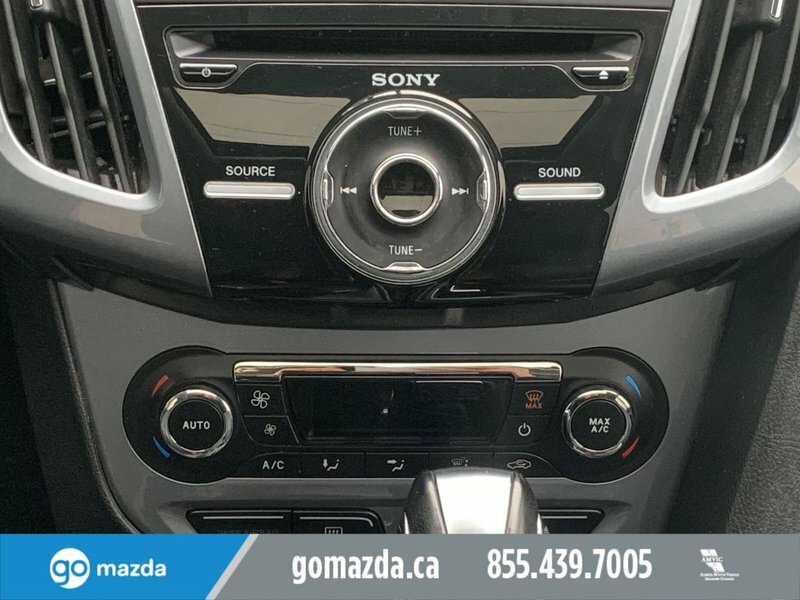 Rock out with the Sony HD Audio System with 10 speakers and sub-woofer or listen to the game or news on the available Sirius XM radio while the full-color navigation system finds your way through unfamiliar territory. 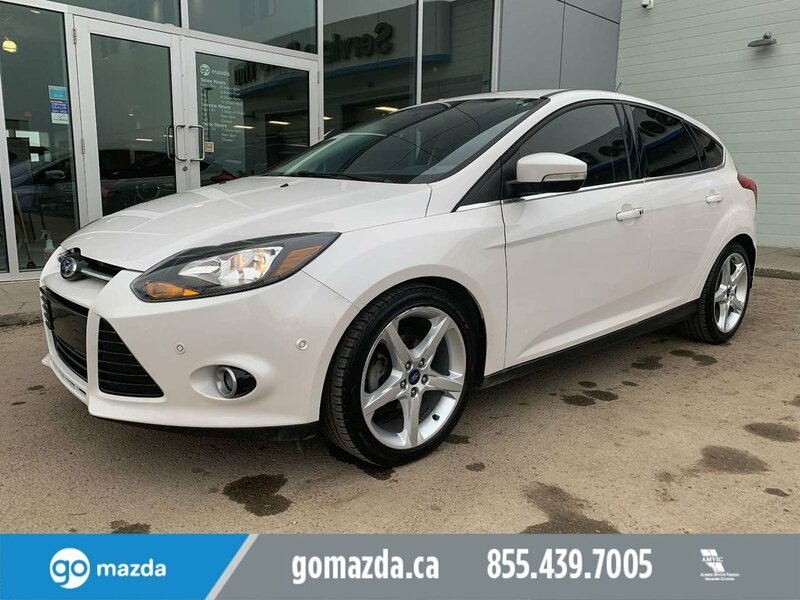 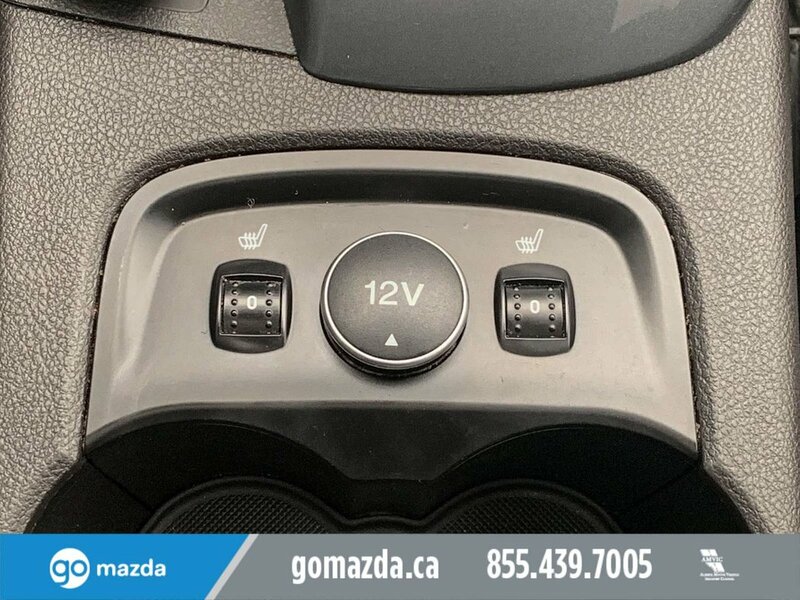 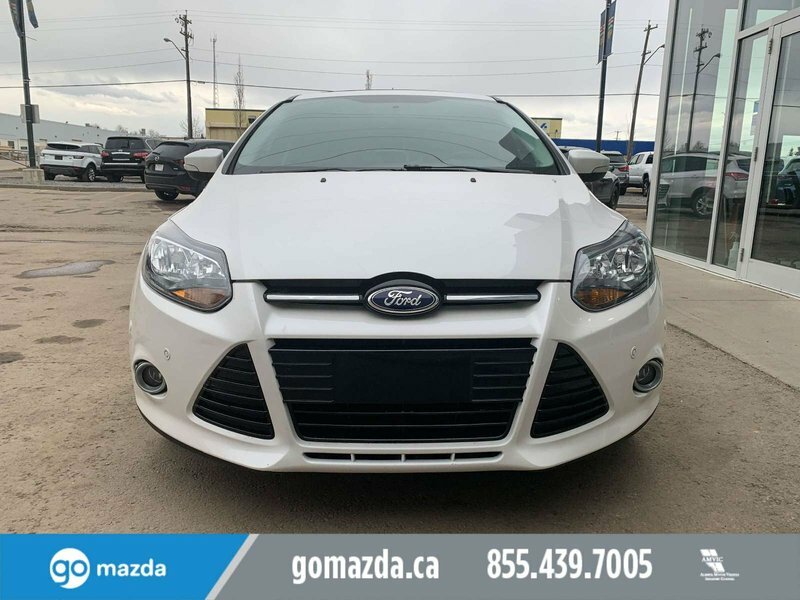 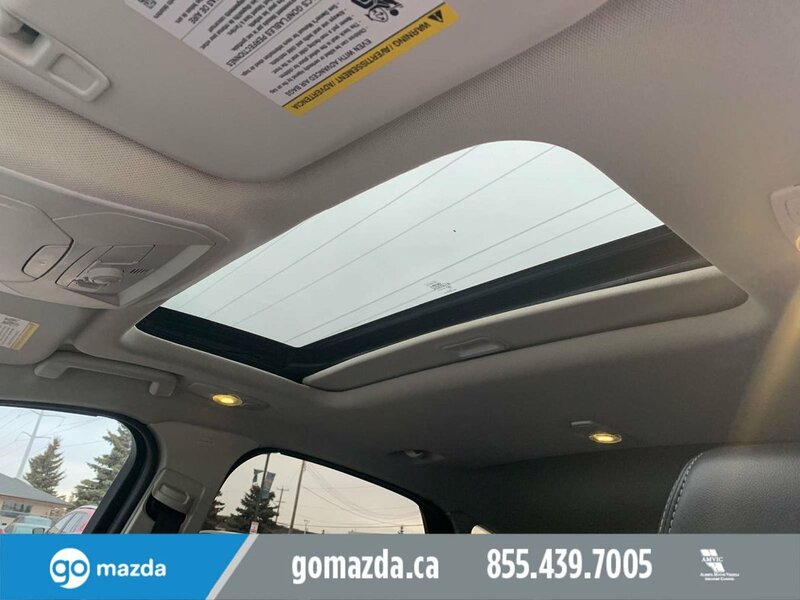 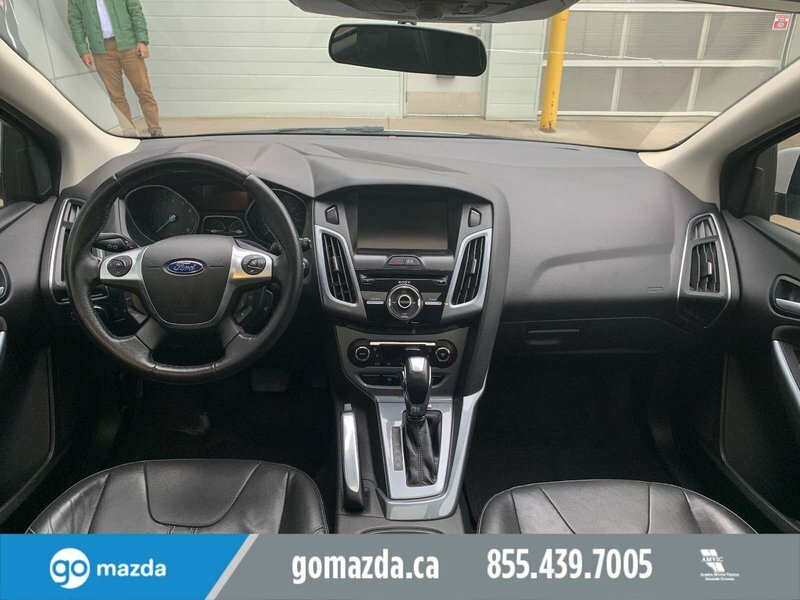 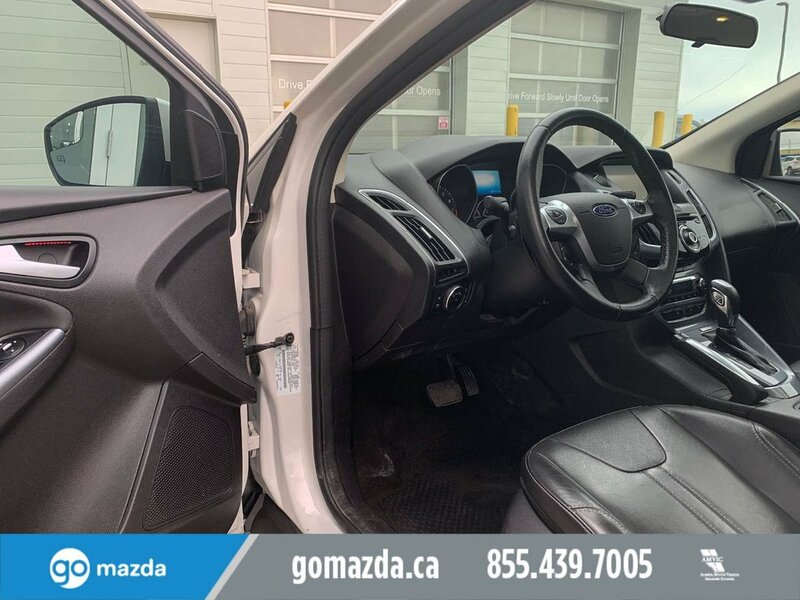 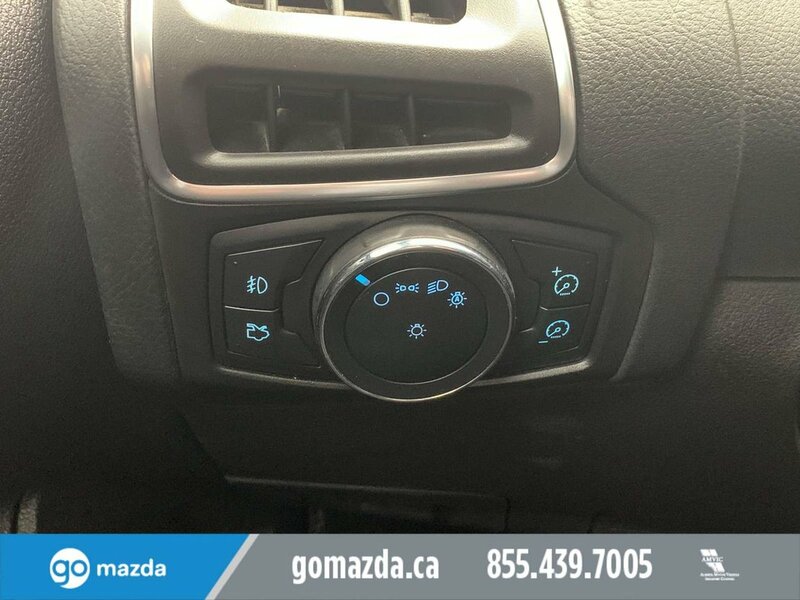 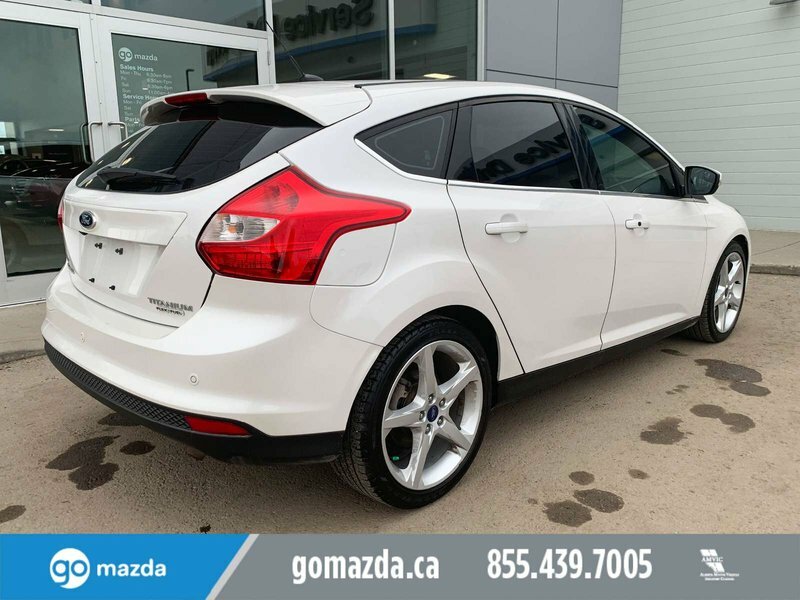 Ambient lighting, a sunroof, leather-trimmed heated front seats, dual zone electronic temperature control and intelligent access with push-button start are just a few additional features that make this Focus so desirable. 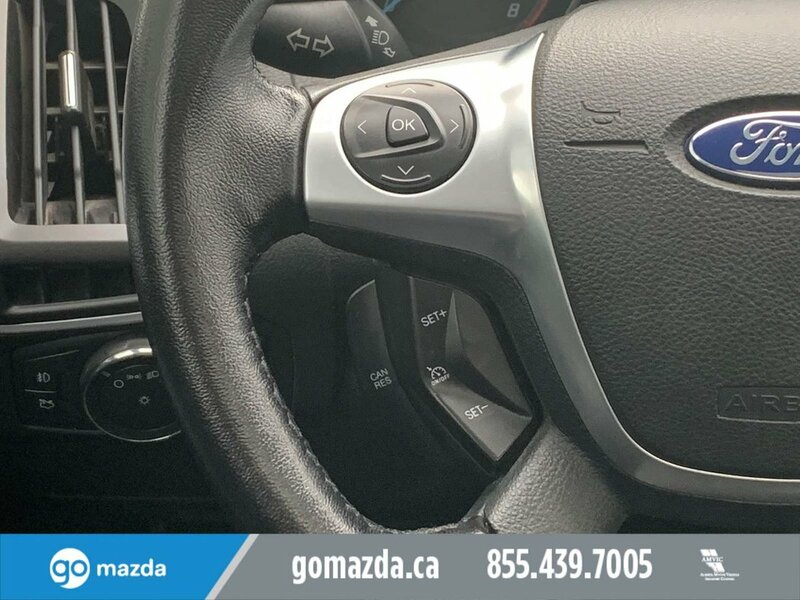 It's no surprise our Ford earned 5 stars on the national safety ratings. 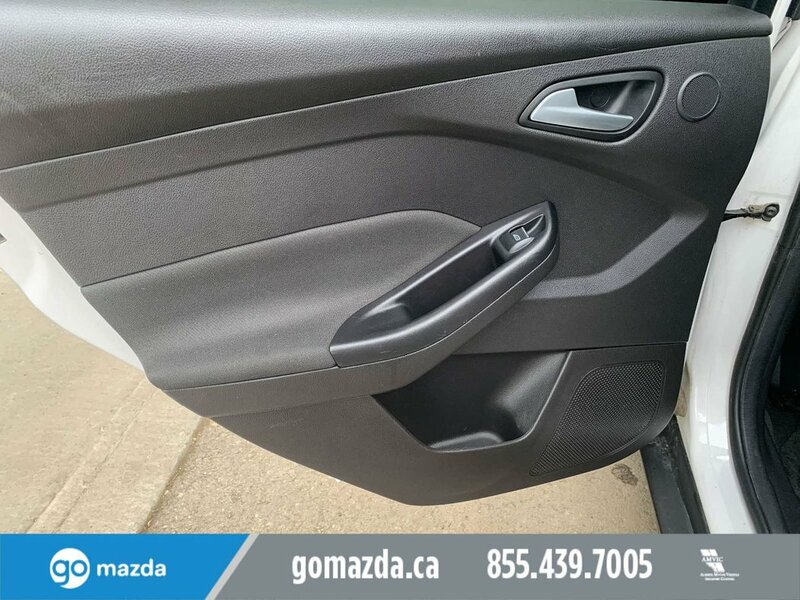 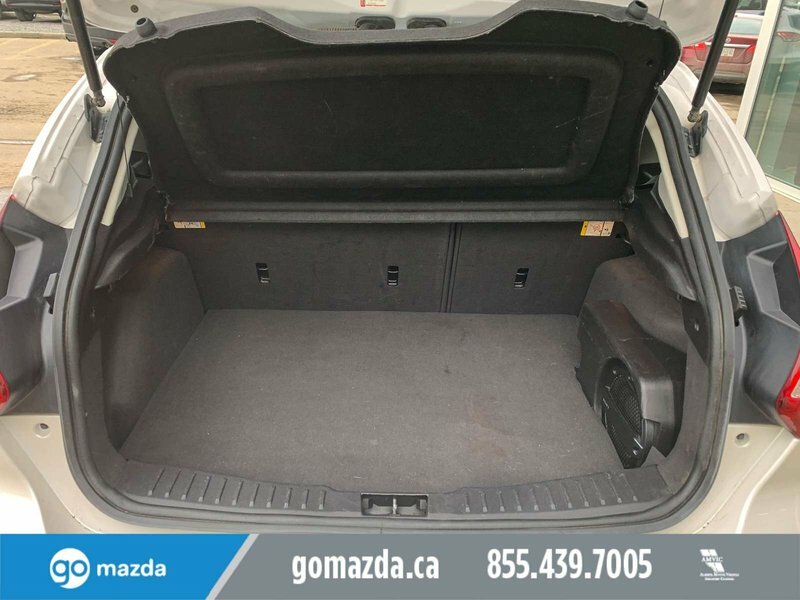 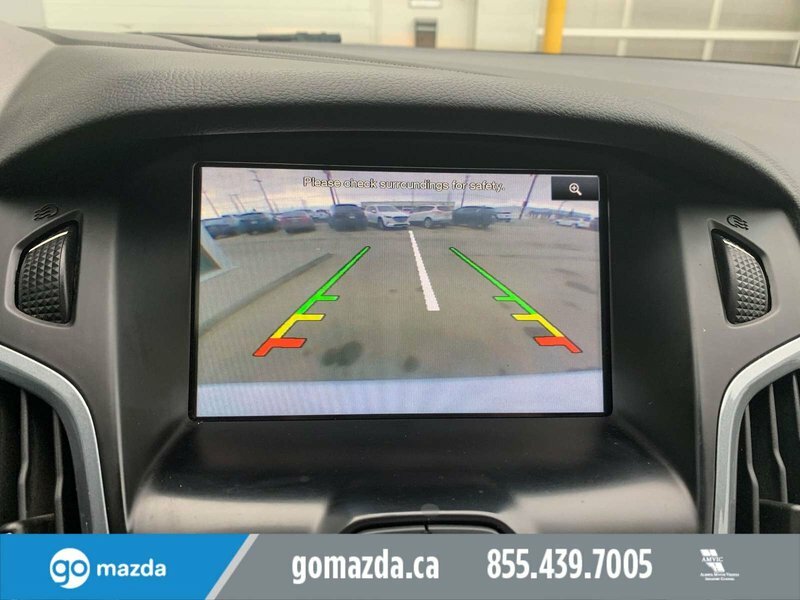 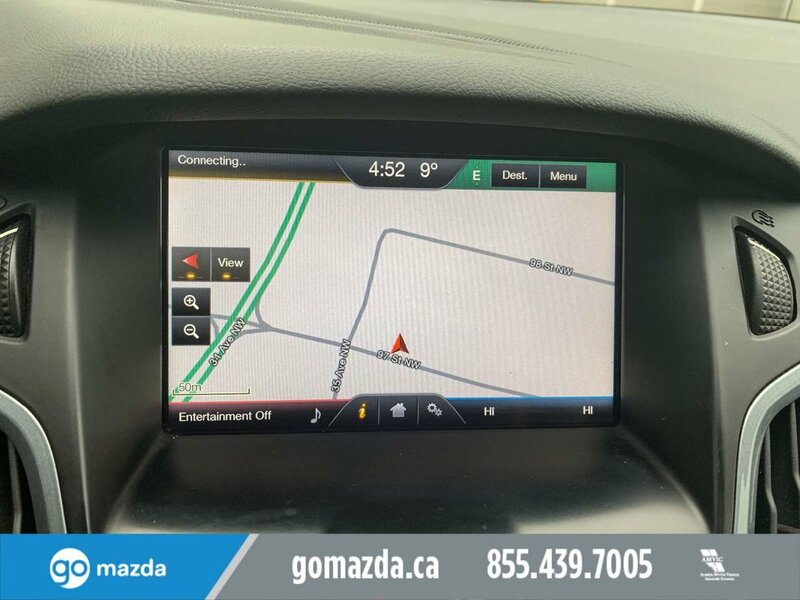 A backup camera, six airbags, stability control, ABS, and tire pressure monitoring all ensure the safest ride possible. 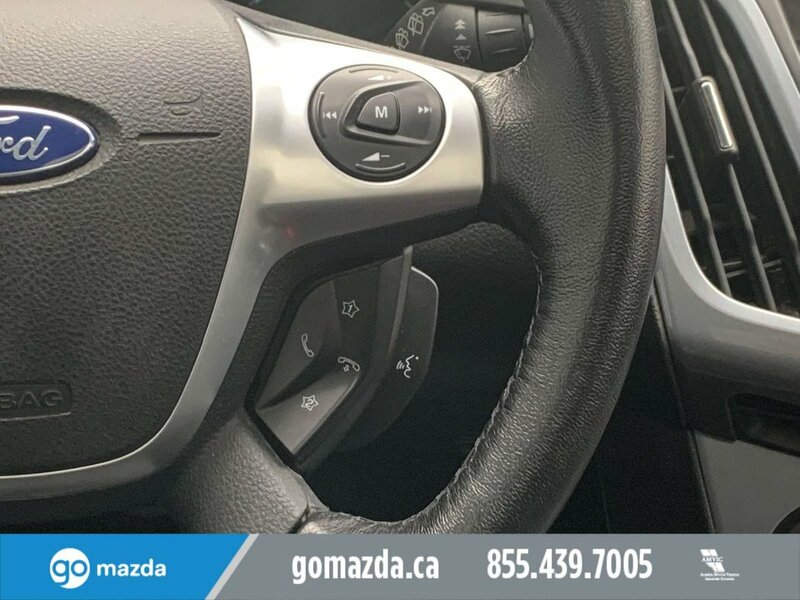 MyKey technology allows parents to designate a key that will operate special features such as speed and audio volume to ensure safe teen driving. 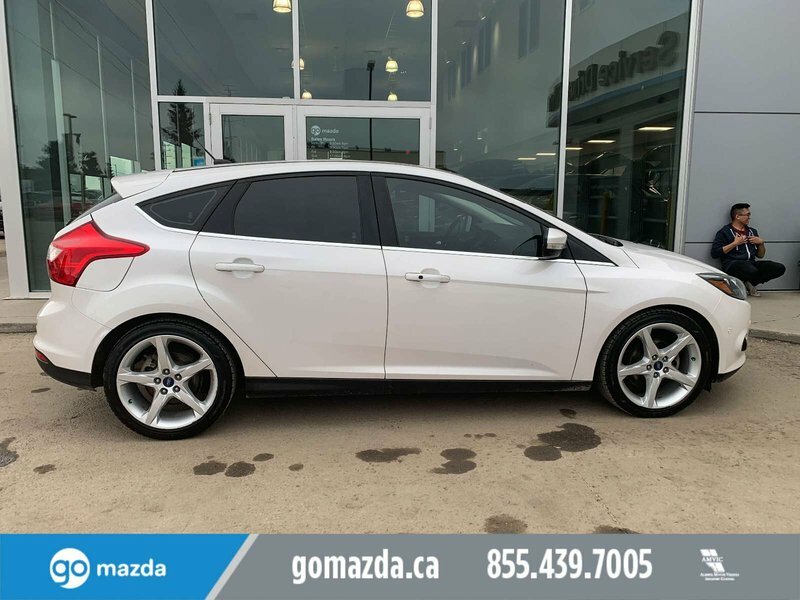 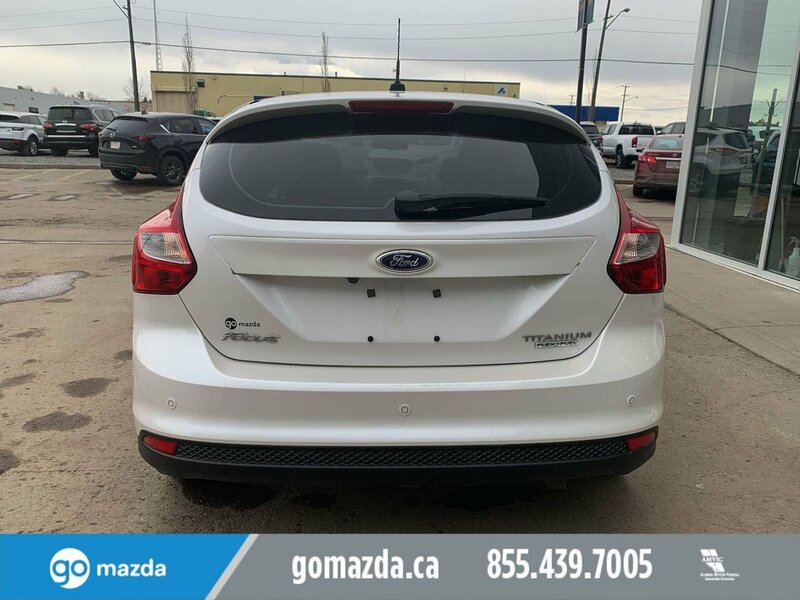 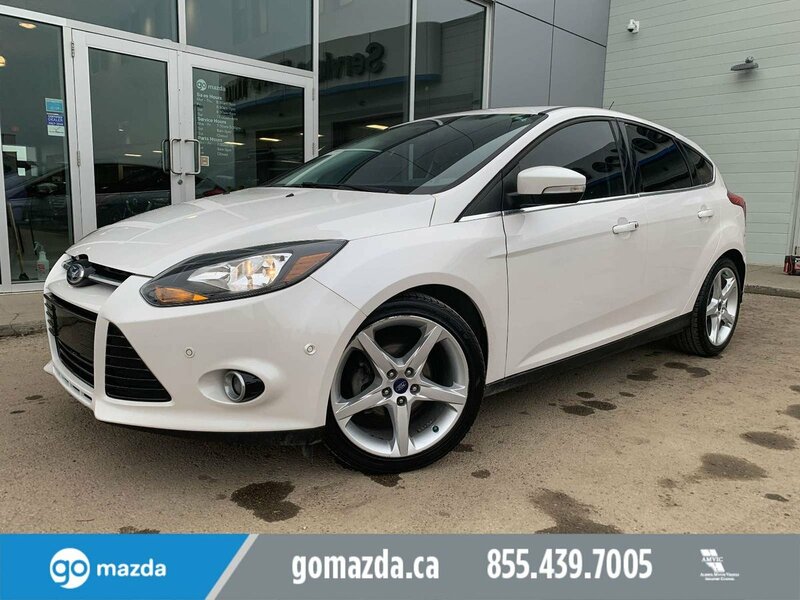 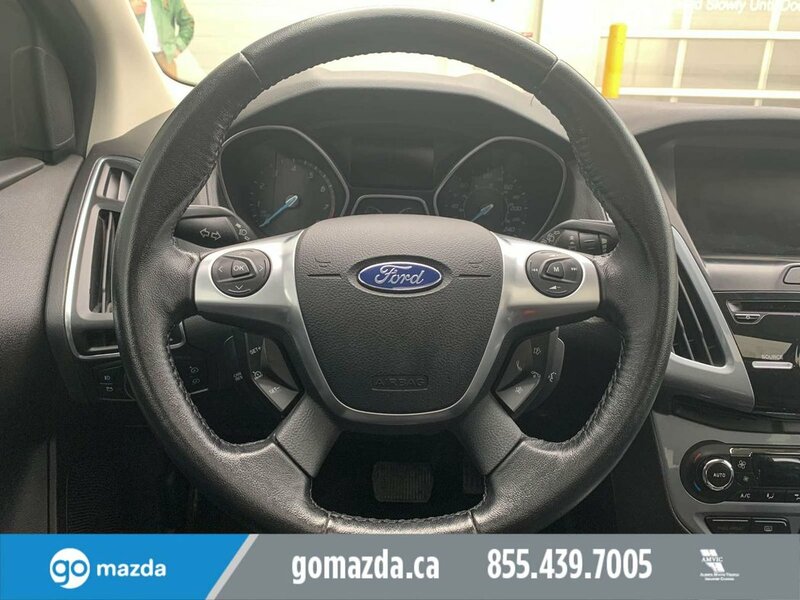 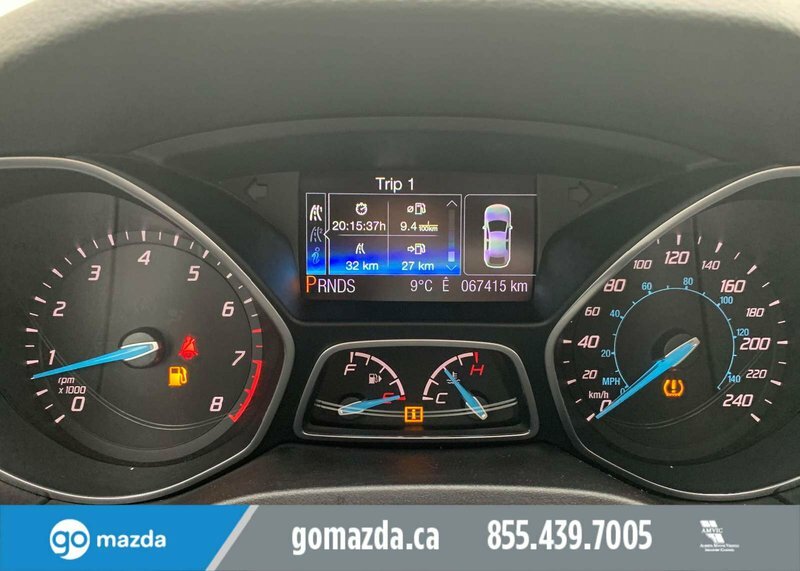 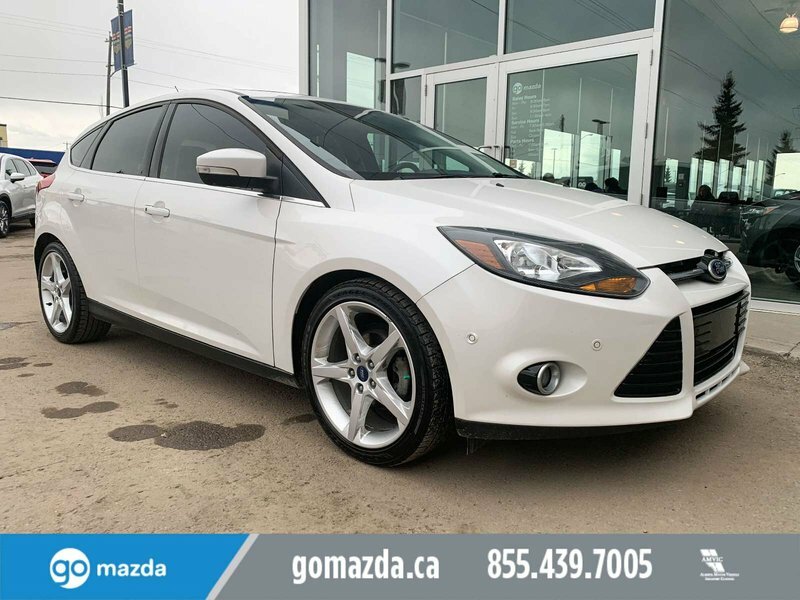 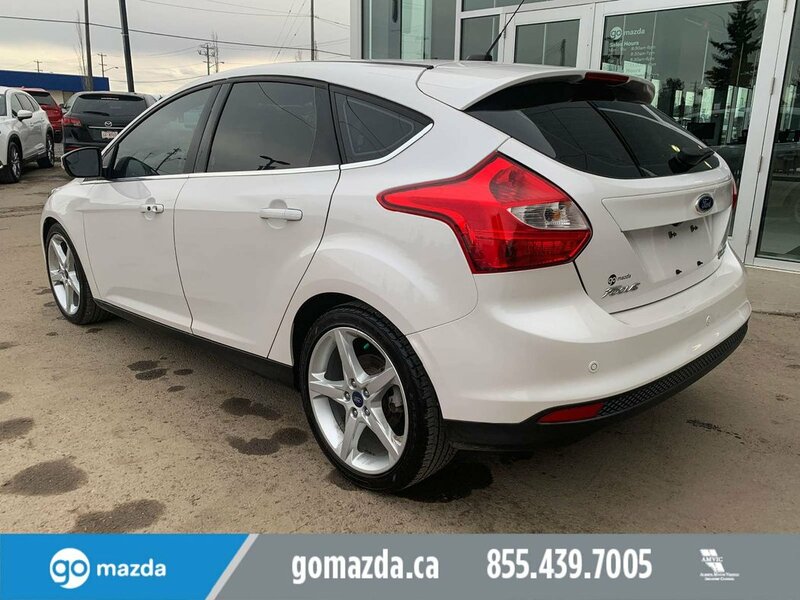 You will love the way you look behind the wheel of this Focus Titanium, so Print this page and call us Now... We Know You Will Enjoy Your Test Drive Towards Ownership!